The plane had just left José Martí International Airport. 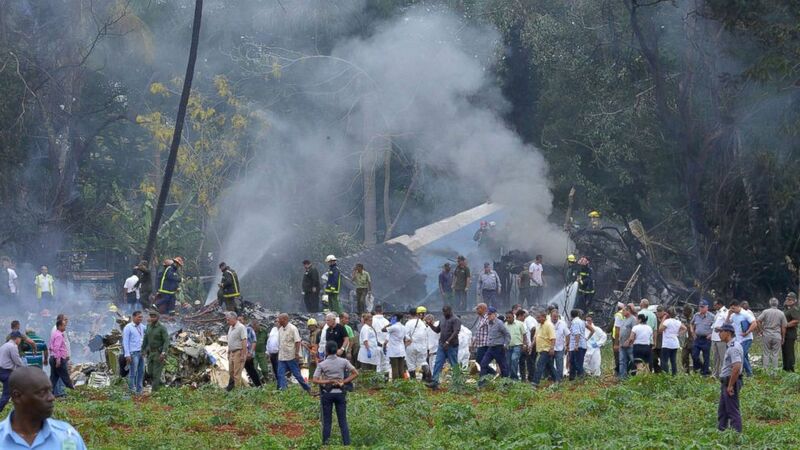 A passenger jet crashed shortly after takeoff in Cuba Friday. So far, three survivors have been found among the wreckage. Photos from the scene showed first responders standing among the smoking debris. 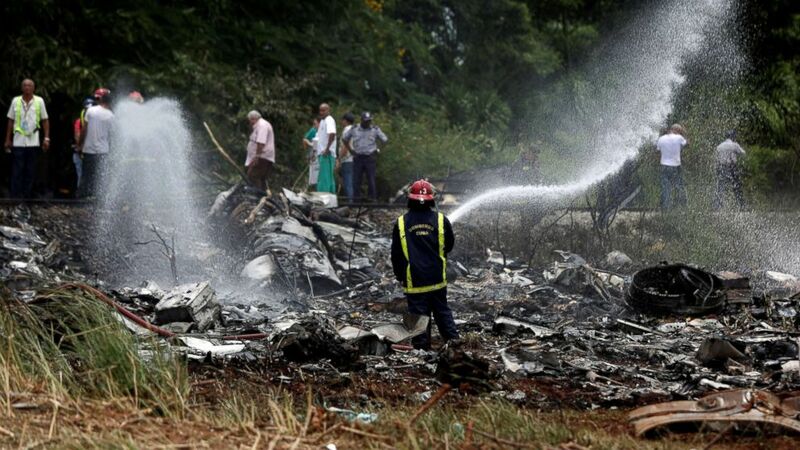 The plane, a Boeing 737 rented by Cubana airlines, had just left José Martí International Airport outside Havana, Cuban state TV reported, crashing about 6 miles from the airport. The plane was carrying 104 passengers and additional crew members, and heading to the city of Holguin, on the eastern part of Cuba, according to Granma, the official newspaper of Cuba’s Communist Party. The three survivors found thus far are in critical condition at the hospital, Granma reported. They have badly broken legs, hips, severe burns, among other injuries. A fourth survivor was found who died en route to the hospital, state TV reported. Video obtained by ABC News shows a giant fireball rising moments after the plane hit the ground. 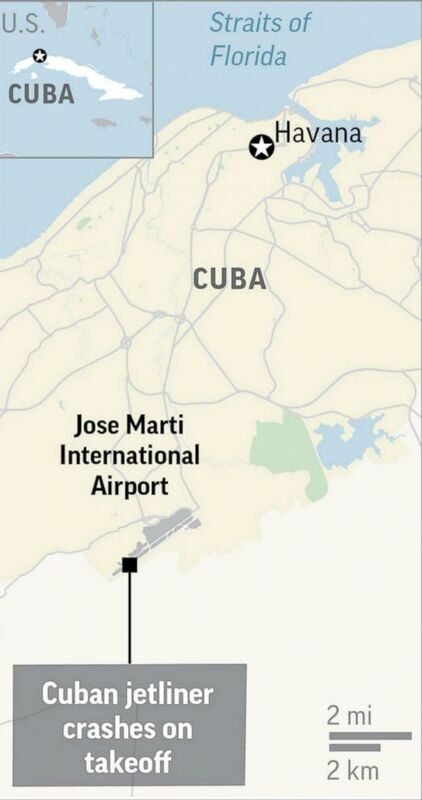 (AP) A map shows Jose Marti International Airport outside Havana, where a jetliner crashed on May 18, 2018. (Alexandre Meneghini/Reuters) A firefighter works in the wreckage of a Boeing 737 plane that crashed in the agricultural area of Boyeros, around 20 km (12 miles) south of Havana, shortly after taking off from Havana's main airport in Cuba, May 18, 2018. (Ramon Espinosa/AP) Rescue and search workers on the site where a Cuban airliner with more than 100 passengers on board plummeted into a yucca field just after takeoff from the international airport in Havana, Cuba, May 18, 2018. 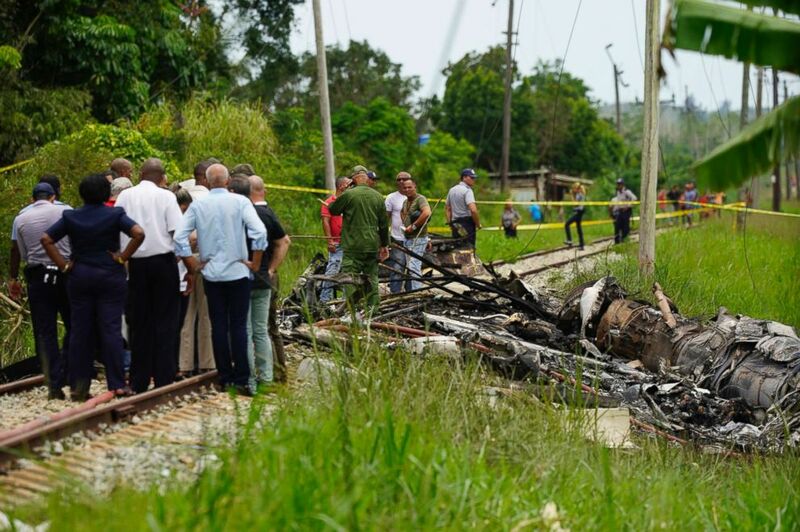 (Adalberto Roque/AFP/Getty Images) The scene where a Cubana de Aviacion aircraft crashed after taking off from Havana's Jose Marti airport, May 18, 2018 in Cuba. The weather at the time of takeoff was clear, with temperatures in the low to mid-80s. ABC News' Joshua Hoyos contributed to this report.